Often the result of a crushing blow to the spine is paralysis; a severe blow may paraplegia or, worse, it may result in quadriplegia. Most often this type of injury is the result of an auto accident or other severe blow to the back, but sadly, falls are becoming leading causes of spinal cord injuries. A three-year study by JohnsHopkinsUniversity has revealed that falls, especially among seniors, are now the leading cause of traumatic spinal cord injuries (SCI) in the U.S. The study, which analyzed data from over 43,000 adults who suffered from SCI and were treated at emergency rooms between 2007 to 2009, found that falls accounted for approximately 41.5 percent of traumatic spinal cord injuries, while automobile crashes could be blamed for 35.5 percent of those injuries. Over the course of the study, SCI among people 65 and older rose dramatically, from 79.4 per million in 2007 to 87.7 per million in 2009, accounting for 30 percent of all injuries among seniors in 2009, compared to 23.6 percent in 2007. The SCI captured by this study were those serious enough to require an emergency room visit. Injuries included temporary bruising, temporary numbness, difficulty breathing, paralysis, and other motor disabilities. Alarmingly, the study concluded that older SCI victims were four times more likely to die while being treated in the ER; those that survived and were admitted to the hospital were six times more likely to die from SCI than younger patients. While safety measures have reduced the number of spinal cord injuries related to automobile accidents, researchers say they are unable to pinpoint the exact reason why SCI due to falls have increased. They believe it may be a combination of aging population, more active lifestyles of seniors, and airbags and seatbelts that allow drivers and passengers to survive accidents. The costs associated with these injuries are extremely high. The researchers estimated that emergency-room charges alone for spinal cords injuries for the three years totaled $1.6 billion, well above the rate of inflation. Care for individuals with serious spinal cord injury cost $1 million and upward. These statistics have led to a recent campaign by the National Institutes of Health to fund improved efforts to prevent falls that lead to traumatic brain injury in the elderly, and that effort could also reduce falls that lead to traumatic spinal cord injuries. In the meantime, how can older adults prevent falls? Here are a few suggestions from the CDC. Ask your doctor or pharmacist to review medications and identify those if any may cause side effects or interactions such as dizziness or drowsiness. Have your eyes checked at least once a year and update eyeglasses to maximize vision. Make your home safer by reducing tripping hazards such as throw rugs, adding grab bars inside and outside the tub or shower and railings on both sides of stairways, and improving lighting inside and out. Take extra precautions in wintry weather. Always check for icy patches when walking, stepping out of vehicles, or going up and down outside steps. When walking on ice, keep knees bent and take sidesteps and shuffle to keep better balance. 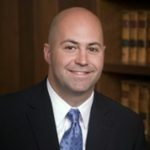 Mark Bello has thirty-six years experience as a trial lawyer and fifteen years as an underwriter and situational analyst in the lawsuit funding industry. He is the owner and founder of Lawsuit Financial Corporation which helps provide cash flow solutions and consulting when necessities of life litigation funding is needed by a plaintiff involved in pending, personal injury, litigation. Bello is a Justice Pac member of the American Association for Justice, Sustaining and Justice Pac member of the Michigan Association for Justice, Member of Public Justice, Public Citizen, the American Bar Association, the State Bar of Michigan and the Injury Board.